We are in the process of building a new home for our family, and I’m dreaming of a garden at our new place. With so much to do when you build, I’m afraid we won’t have time for a garden this year, and I just can’t imagine life without a garden. 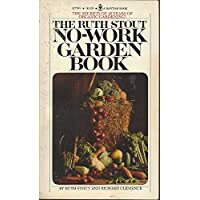 So, I’ve been reading up on no work gardening, and came across the Ruth Stout gardening method. WOW! I love it! What an amazing woman! I love her free spirit and her fun personality. I just watched a video interview she had late in her life, and couldn’t help but laugh out loud. 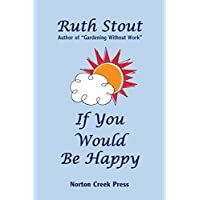 Here’s that Ruth Stout garden video if you’d like to watch it: it’s about 10 minutes and so worth watching! 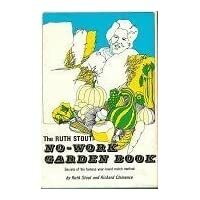 What Is The Ruth Stout Gardening Method? 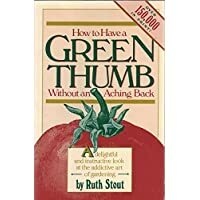 Ruth’s method of gardening might seem crazy to some, but I’ve watched enough videos of people using her methods, and read enough stories, that I believe it with all my heart. I am planning to use this exact method for my 2018 garden, so even though we’ll be busy building a new home, we can still enjoy fresh herbs and veggies from out garden. 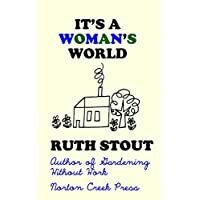 Here’s what her method entails: no plowing, cultivating, weeding, watering or spraying. And no cultivating cover crops. Just sow your seeds on top of the soil, wiggle your hand on top of them to cover the seeds a bit, and that’s all. Or, throw potatoes on the ground and cover them up with spoiled hay. She only used one fertilizer: cottonseed meal. It adds a bit of nitrogen to the soil and keeps is healthy. 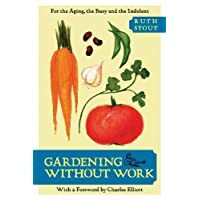 If you want to learn more about Ruth’s way of gardening (and living), there are a few must have books. Take a peek below. I just got a couple of them myself. This woman is fascinating! 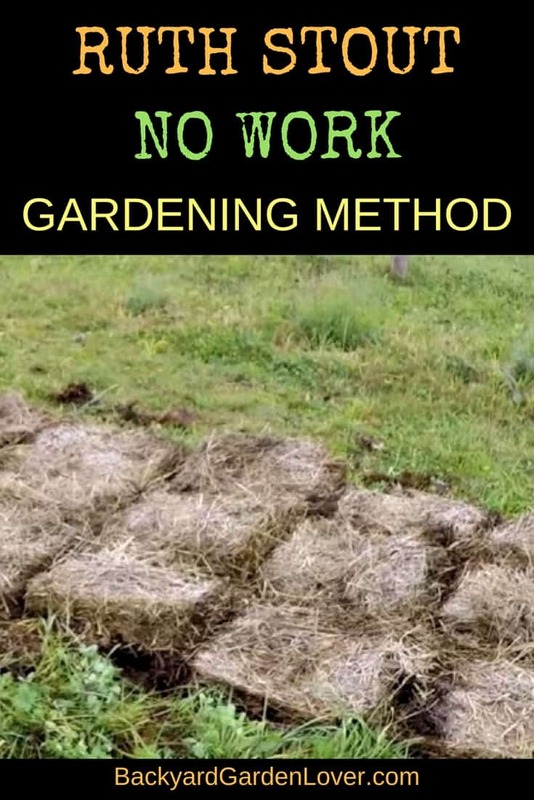 I love this method of gardening and it almost seems too good to be true, so I decided to go to YouTube ads see if anyone had any proof from their own garden. Looks like she uses straw rather than hay. You can use both. You can even use leaves and grass. 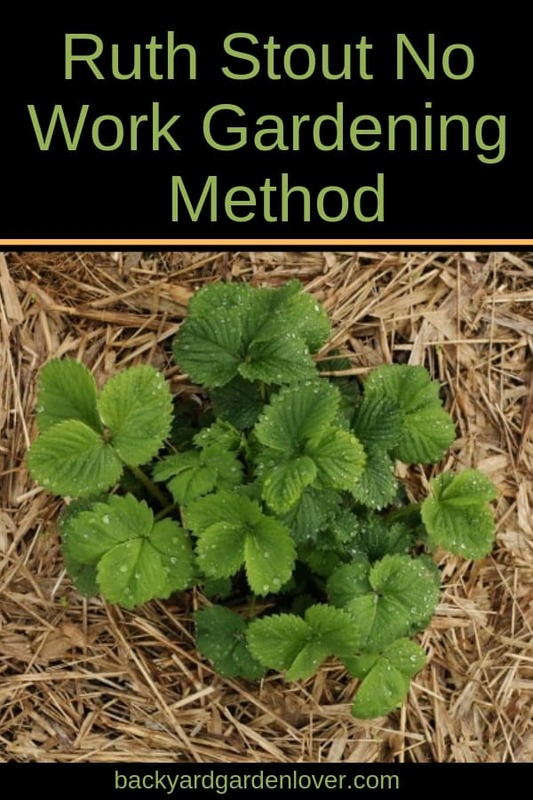 How did it work in your 2018 garden? Building is taking a lot longer than we thought. We’re still living at our old place, where we only have room for 3 small raised beds. I can’t wait to give it a try next gardening season! Beginner question here. My back hillside is all dirt and weeds. We’d like to dig it out to plant a garden but the soil is probably no good. Could we dig it out and keep hoeing it while throwing compost on it? Or do we just leave it, throw on compost and sow seeds? I’ve been using straw bales for my vegetable garden for 2 years. You don’t want to use hay bales – they have seeds! My garden last year was amazing. 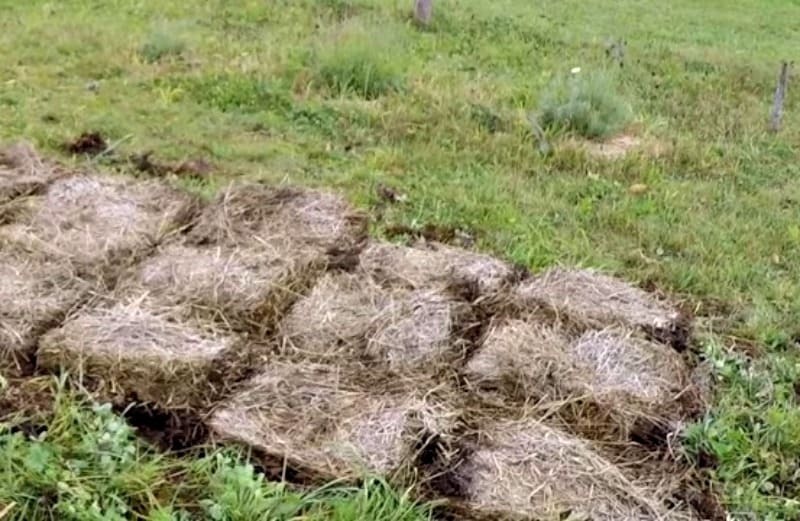 There is no weeding necessary and the bales stay moist and warm so that you can start planting earlier in the season. I love straw bale gardening! 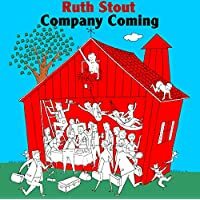 I started reading about Ruth Stout way back in the earl 70’s and can attest that her methods DO work as I’ve used her techniques since then. After 30 years in my old place I had wonderful soil. 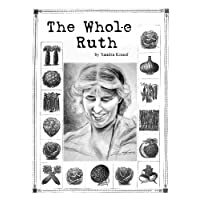 I’ve had to start over at a new home, but know my soil will be better very soon after using Ruth’s method!